Note the black hair tuft at the end of the abdomen. 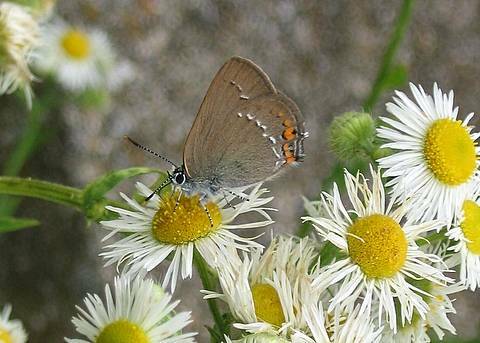 The Sloe Hairstreak is often described as a rather local and uncommon species though in my local area it is the commonest Satyrium. 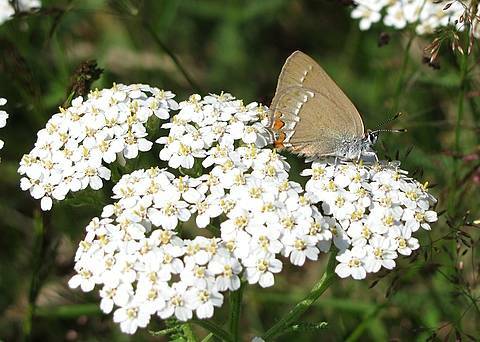 Here, the butterflies are often seen feeding at either Achillea millefolium or Erigeron annuus, though both of these plants are a million times more abundant than the butterfly so searching the flower heads needs some patience. It is perhaps a good idea to start by looking at flowers growing close to the larval foodplant, blackthorn. 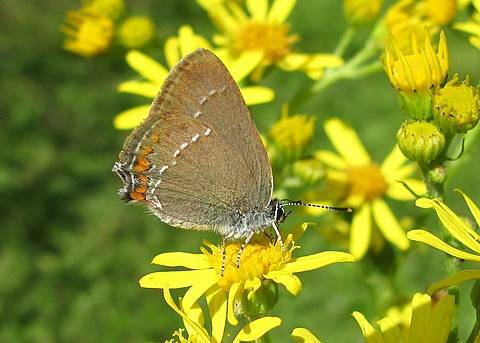 Other composites may be used, such as ragwort. 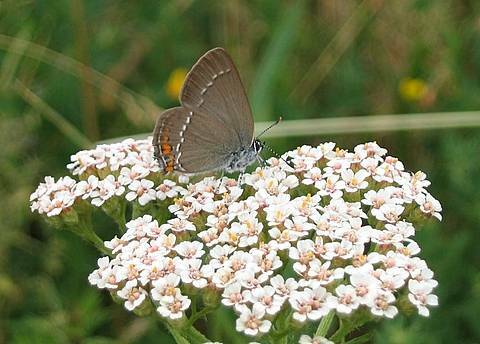 Locally the butterflies can be found nectaring on Sambucus ebulus or Sedum album flowers though these have a more patchy distribution here. 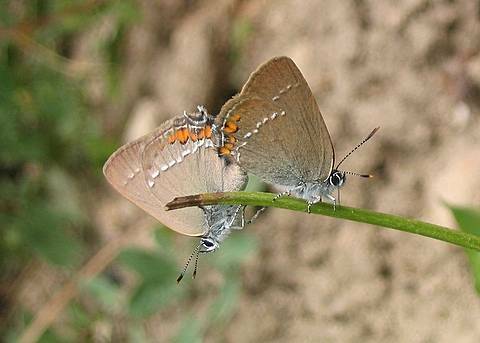 Contrary to other 'tree dwelling' Satyrium this one is more of a 'busher' and can be found in scrubby areas well outside of woodland. 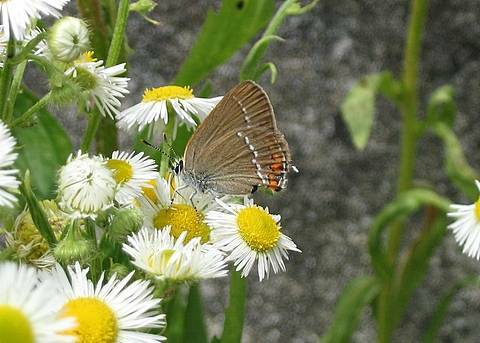 In June, 2006 a colony flew in my garden right through the flight period though goodness knows where they were laying. 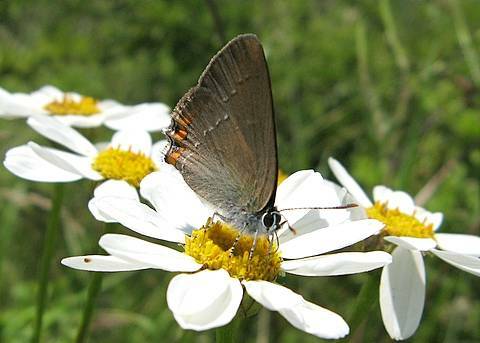 The females are easily separated from the males as the tip of the abdomen is covered in black scales. Apparently this is used to brush the eggs to render them less visible?